Get the Grilling Companion App! 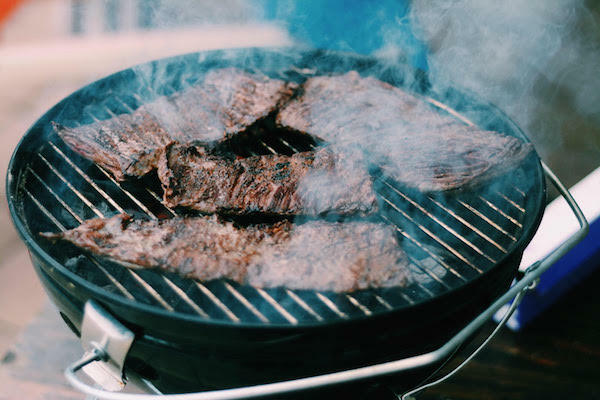 Learning how to grill skirt steak is easiest on a charcoal grill, where you can get the grate really close to an extremely hot fire. 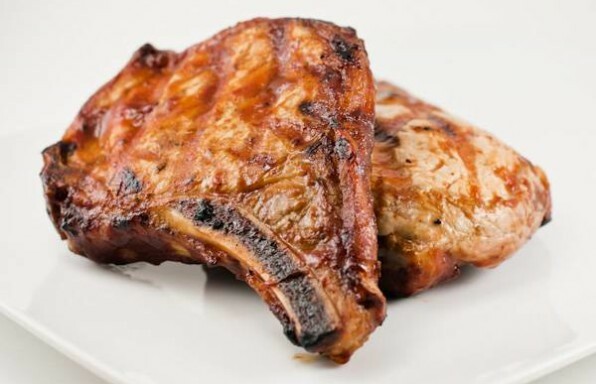 This great cut of meat is usually really think, so the key is to grill it quickly over a really hot fire. It is really hard for me to pick my "favorite" steak but if you forced me, skirt steak would probably be it. Alton Brown actually cooks it straight on the coals, but I prefer to use my little table top charcoal grill so I can get the steak really close to the coals, but not in the coals. Ready to get started? I'll assume that is a 'yes'. 1Place the skirt steak on a plate or cutting board and sprinkle generously with Kosher salt and fresh ground black pepper on both sides. 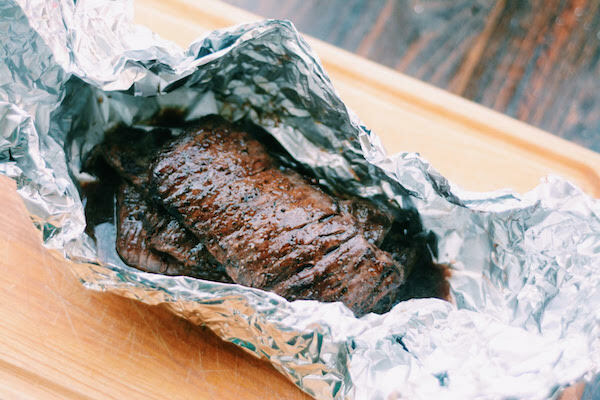 2Rip off two layers of aluminum foil, enough to wrap the skirt steaks. You'll need it as soon as the steaks come off of the grill so have it close by. 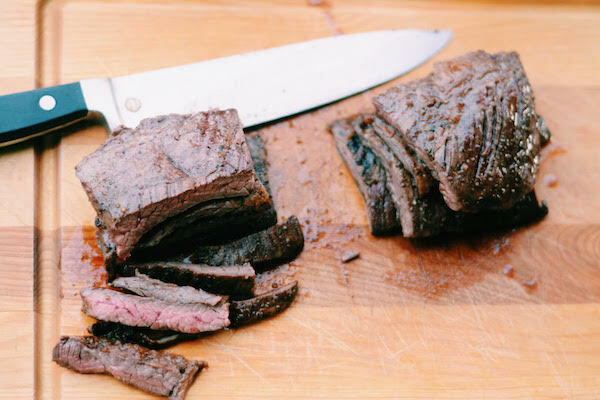 3Leave the skirt steak on the counter at room temperature for at least 20 minutes, up to an hour, or until the fire is ready. 4Light your grill and get the fire as hot as it will go. For gas grills, turn on the sear burner and close the lid to heat for 15 minutes on high. For charcoal grills, open all of the vents, get the grate as close to the coals as possible and let it get as hot as you can get it. 5Once the grill is really hot, place the skirt steaks over the hottest part of the fire. We are looking for a quick sear, as much fire as possible, so let it flare up. 1Grill the skirt steak for ONLY 1 - 2 minutes on each side, just enough to get a nice dark sear. 2Immediate wrap the grilled skirt steaks in the double layer of aluminum foil, sealing it tightly. 1Let the skirt steaks rest in the foil for 10 - 15 minutes. 2Unwrap the steak and cut thinly, against the grain and serve. Grilling Companion is a grilling magazine site for BBQ and grilling fans in search of great recipes, tips and news from around the web. This site was built by 3 regular guys who wanted to create a place on the web to share stories and grilling recipes with other grilling fans. Our goal was to create an online grilling companion for all your barbecue and grilling adventures. Interested in advertising? Email info@grillingcompanion.com to get started! © 2019 Grilling Companion. All Rights Reserved. Never miss delicious grilling for inspiration again! Sign up for our newsletter below.